Paul's Automotive has been a family owned and operated business since 1995. Paul Lannon, the owner and operator, started Paul's Automotive as a mobile automotive repair business many years ago. With the help of his family and staff, Paul grew his business to it's current size and location in Mt. Washington. At Paul's Automotive we continue to strive to provide excellent customer service and world class automotive repairs. Our ASE Master Certified technicians have the tools, training, and experience to diagnose your car troubles quickly. Our standards for excellence is what makes Paul's Automotive Baltimore's best automotive repair facility. The safety of our customers and their families is our number one concern. We work on all vehicles foreign and domestic as well as Toyota, Toyota Hybrids, Honda, Hyundia, Kia, Subauru, Nissan, Infiniti, Acura, Chevrolet, Ford, Chrysler, Jeep, and Lincoln. Just ask us about instant approval of up to 12 months of interest free financing on eligible purchases. And when you use your Easy Pay NAPA card, it increases the NAPA Peace of Mind warranty to 36 months or 36,000 miles of coverage. 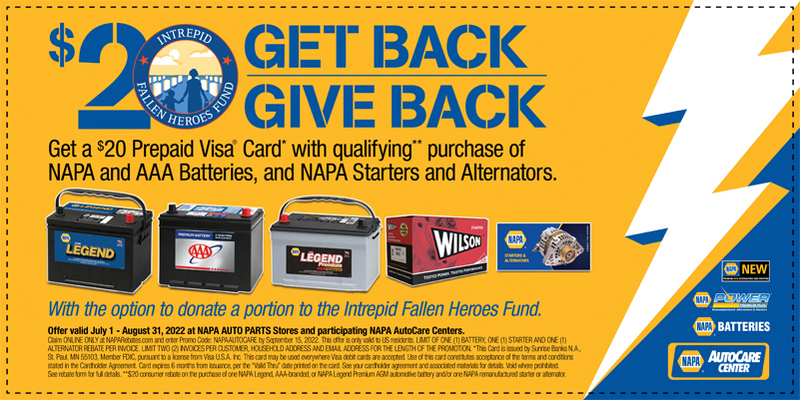 Using your NAPA EasyPay card will extend your Peace of Mind Warranty to 36 Months/36,000 miles when you make your qualifying repair and services.